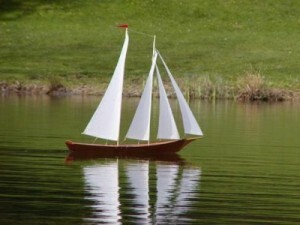 A traditional two masted wooden RC schooner. 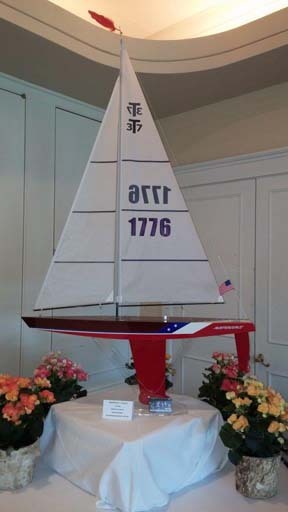 The wood construction adds a beauty and authenticity to this RC Sailboat that is incomparable. Out on the water the T47 RC Schooner tacks and sails with a grace and splendor that brings back the great age of sailing vessels. The wood hull is constructed of pre-cut 1/8 inch mahogany marine plywood pieces that go together very easily with a marine epoxy that is not only incredibly strong but also remarkably easy to use. Everything is included in the kit except AA batteries, paint and varnish. 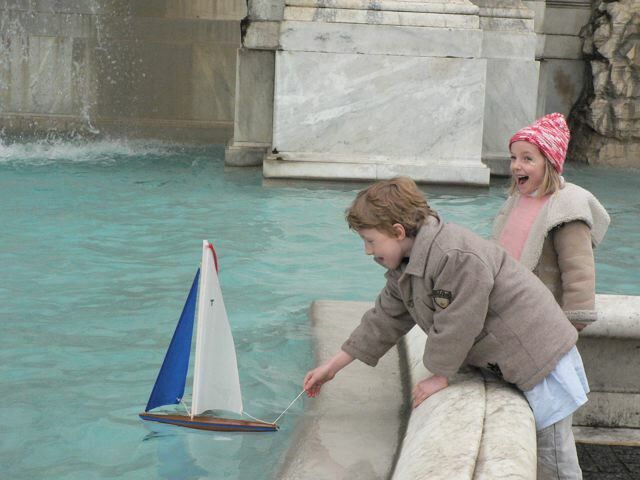 The sails are already sewn. This is a fun project for any adult or for an adult/youngster team. 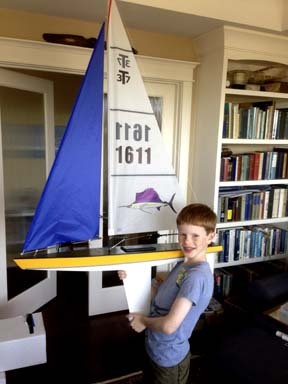 The rudder is controlled with one servo, and all four sails are controlled with the second servo. 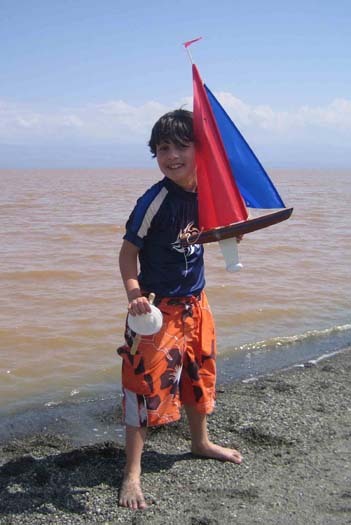 The rudder servo and the ultra-torque sail servo are included along with all of the radio control gear, hand-held transmitter, receiver, battery box, on/off switch. The RC gear is full power 2.4 ghz hobby gear with the same range as the gear that RC airplanes use. It feels great to be able to say, "I built it!" T47 Kit, everything included. Kit $520.00. T47 Finished, everything included, ready to sail is available for $1900. Please call for availability of finished boats.